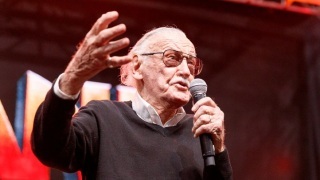 Comic book legend Stan Lee filed a lawsuit Tuesday against the entertainment company he co-founded, alleging its leaders conspired to steal his "identity, name, image and likeness" by negotiating a "sham" sale of the firm and seeking damages topping $1 billion. The lawsuit, filed in Los Angeles Superior Court in Santa Monica and obtained by TMZ, alleges that POW! Entertainment CEO Shane Duffy and co-founder Gill Champion failed to fully disclose to Lee details of the firm's 2017 sale to Camsing International. The suit contends that they took advantage of Lee, who was despondent at the time over the death of his wife Joan and was suffering from macular degeneration. Lee alleges he was duped into signing a fraudulent agreement that gave POW! exclusive rights to his name, identity and likeness. According to the lawsuit, Lee was unable to actually read the document due to macular degeneration, and he doesn't remember anyone reading it to him, suggesting that his signature may have been forged, copied or induced. "In addition, POW! took control of Lee's personal social media accounts, including Facebook, Instagram and Twitter, thereby impersonating Lee before a combined 15 million followers worldwide,'' according to the lawsuit. There has been no response from POW! Entertainment to the lawsuit. But in April, the company issued a statement expressing concern for Lee's well-being, amid reports that Lee was the victim of elder abuse. "We at POW! Entertainment take great pride in our continuing work to create exciting new Stan Lee content and characters as well as safeguarding the legacy of the greatest story teller of our time,'' according to the statement. "We are also fans and share the heartfelt admiration and love of the community who have voiced their sincere concern for Stan's well-being.